The hard seal butterfly valve adopts three-eccentric valve seal structure, which ensures the reliability of the butterfly valve. The valve seat and disc has almost no wear and has the tight seal function. Sealing ring chooses stainless steel with metal hard seal and elastic seal advantages. Whether in low temperature or high temperature circumstances, this hard seal butterfly valve still has excellent seal performance.The metal hard sealing butterfly valve is typically applied to power station heating system, FCC main air blower piping system, cutting off industrial pipelines of steel, metallurgy, chemical, etc. Customers can choose manual or electrical driving mode to operate the valve. We put each hard seal butterfly valve into a bubble bag and then use wooden cases for the outer packaging. 1. This hard seal butterfly valve is simple in structure and light in weight. It is quite flexible to open and close. 2. We adopt stainless steel for secondary seal ensuring its long service life. 3. 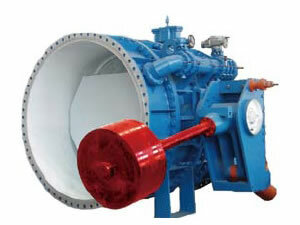 The metal hard sealing butterfly valve owns low flow resistance coefficient and high flow capacity. 4. 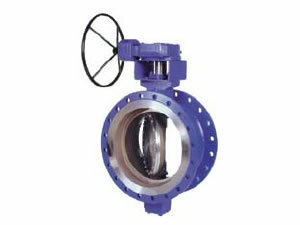 This hard seal butterfly valve has anti-aging, radiation-proof, sturdy and durable functions. 5. Nominal diameter of our butterfly valves varies from 100 to 3000 mm. Nominal pressure ranges from 0.6 to 2.5MPa. Corroco International Industrial Co., Ltd is a professional manufacturer and supplier of hard seal butterfly valves in China. In addition to hard seal butterfly valves, we also produce turbine inlet butterfly valve, hydraulic control butterfly valve for pumping station, anode rod for water heater, hydrometallurgical electrode, hydrometallurgical equipment, metallurgy technology and engineering, machining and parts, etc. With 12 years' production experience, our products have been exported to the United States, Canada, Britain, Germany, Iran, Pakistan, India, Kuwait, Dubai, Saudi Arabia, the Philippines, Malaysia, Singapore, Congo, Turkey, etc.